Jeremy Tatum sends a photograph of a weevil from his Saanich apartment this morning. 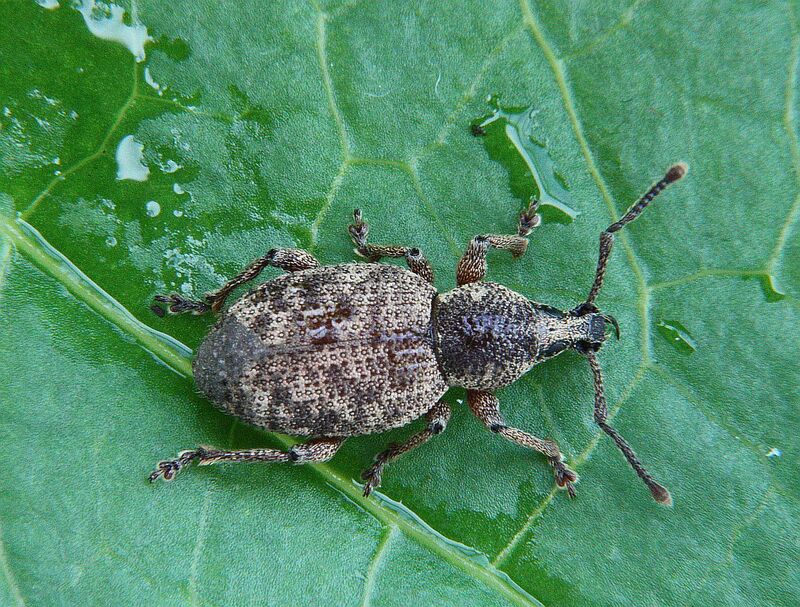 It was identified for him by Scott Gilmore, who writes: Your beetle is Otiorhynchus singularis (Raspberry Weevil) a native of Europe from the Curculionidae family. 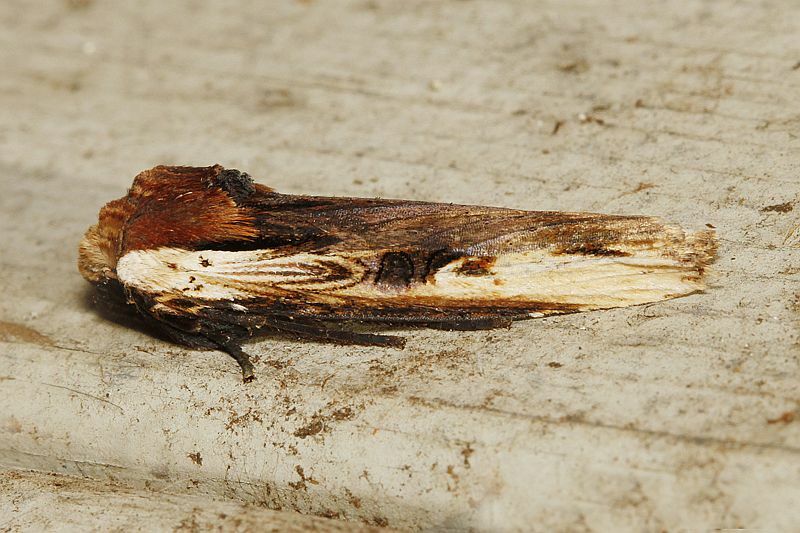 The genus is quite common (at least here). 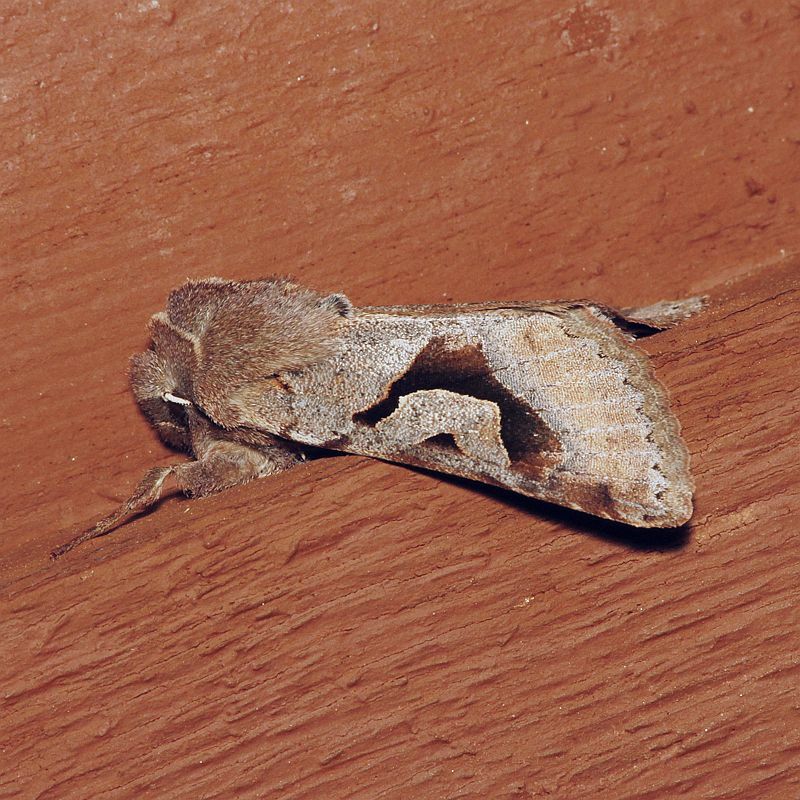 There are no native species in the genus, 5 species are known from BC and I have had 4 of them in my backyard. I am not even sure the 5th species is recorded from the island. Scott sends a photo of another Bark Louse from the same cedar tree in his Upper Lantzville backyard. 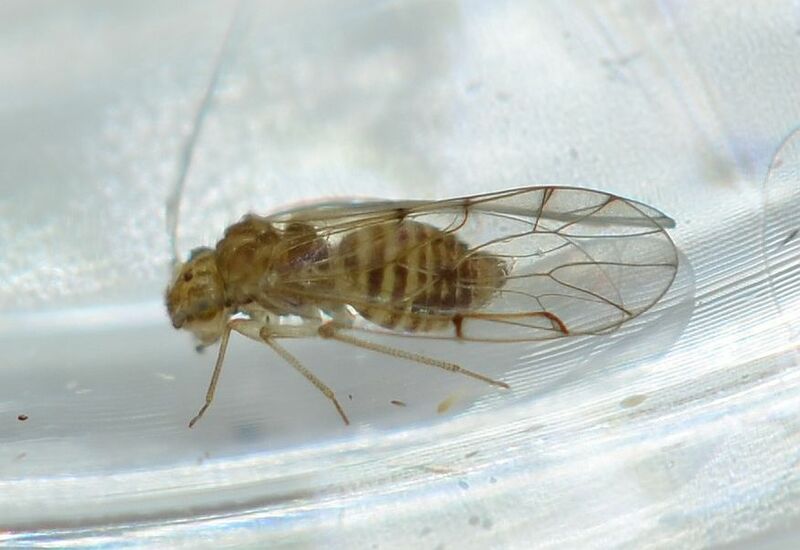 The attached picture is of Ectopsocus briggsi (Ectopsocidae family) that he found on March 10th. Kindly identified by Diane Young. 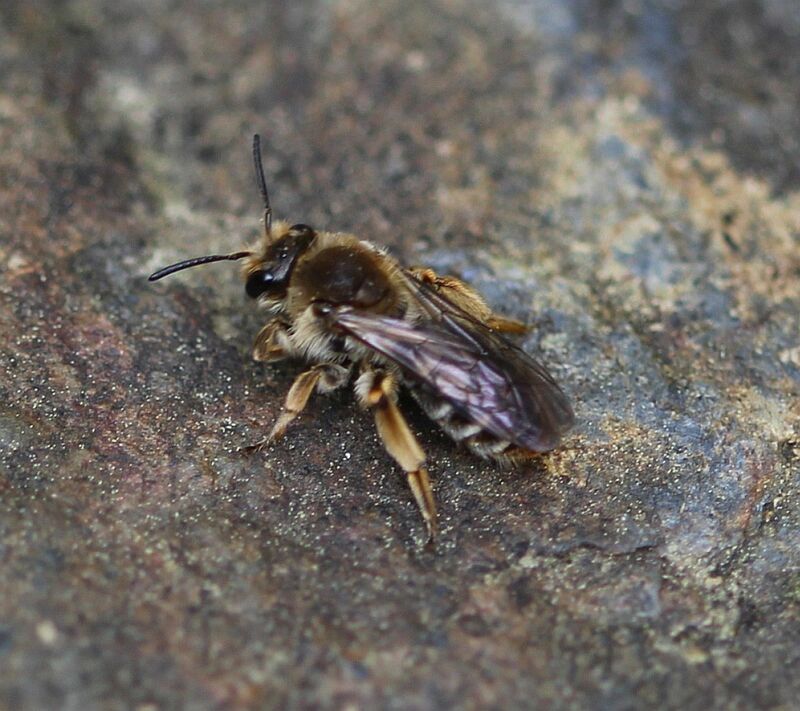 Rosemary Jorna writes, from Otter Point: There were a half dozen of these bees landing on the damp stones of our path this afternoon. It was good to see them as I have not seen that many yet this spring. Jeremy Tatum writes: If there’s anyone out there who can identify it, please let us know. In the meantime I hope I’m not committing some dreadful blunder in labelling it Andrena sp. Bill Katz sends a photo of Coryphista meadii from that famous garage on Summit Hill. 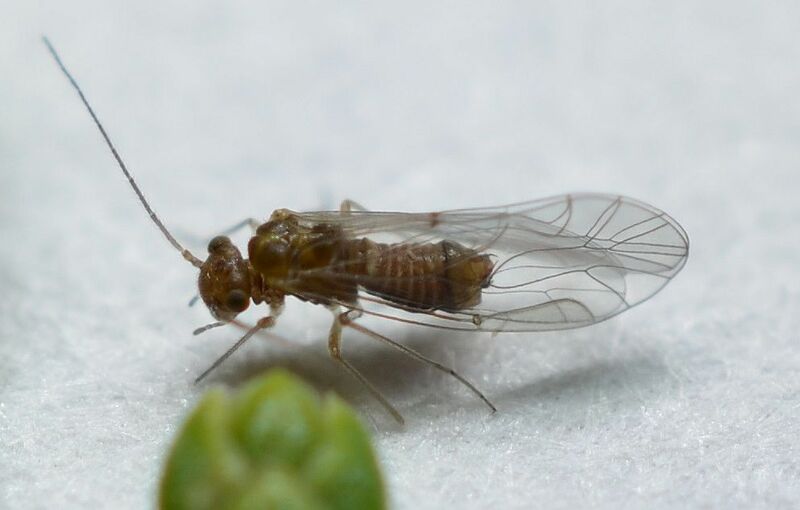 Gordon Hart writes: On the VNHS field trip to the “Mossy Maple Grove”, we found a few invertebrates around and on the ancient moss-covered maples. 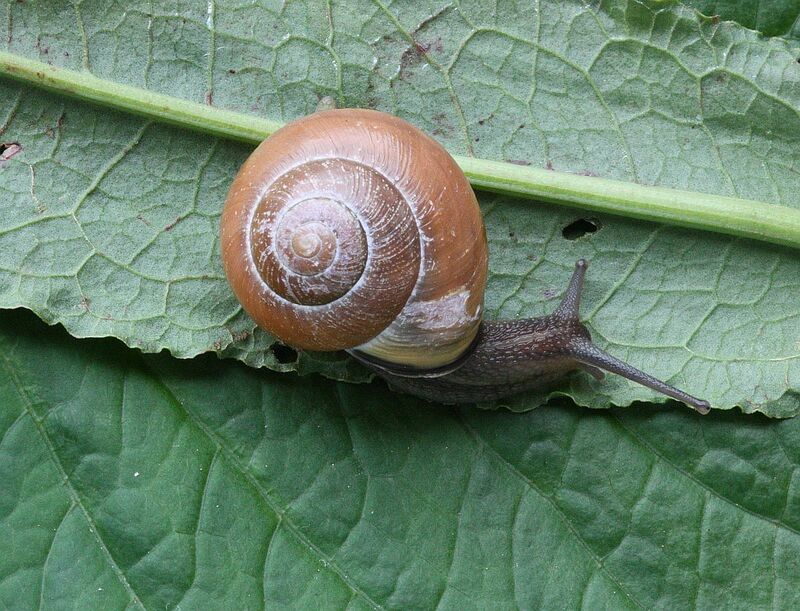 I have attached a picture of a Monadenia fidelis out for a walk. We also saw the black and yellow millipede Harpaphe haydeniana, and a small brown cylindrical millipede. 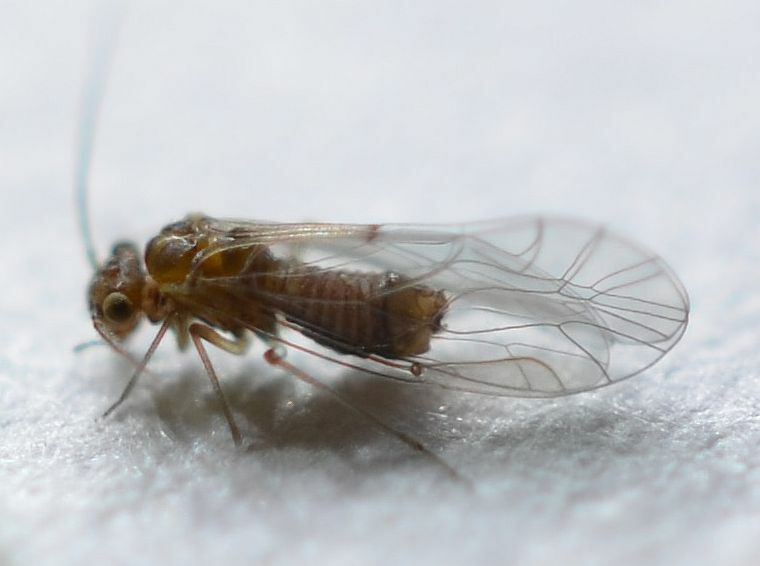 Scott Gilmore writes from Upper Lantzville: On Febuary 14th my son and I found a bark louse nymph on a Red Cedar in our backyard. I learned last year that you can raise some bark louse on Cheerios and that you might end up with adults. I kept the nymph and gave it a Cheerio, some cedar and a moist environment. Most days I would see the barklouse hanging out on the Cheerio eating or grooming. 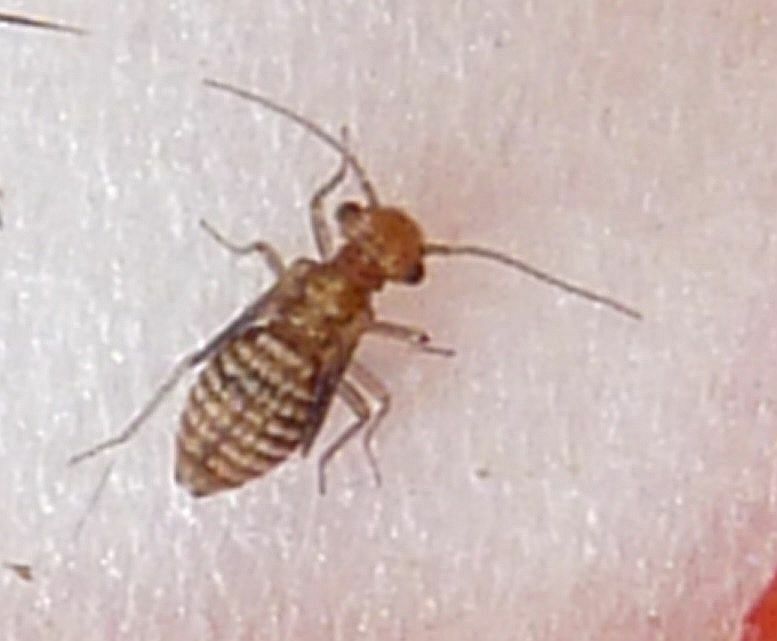 Eventually on March 2nd I found it on the cedar and it was no longer a nymph but an adult. 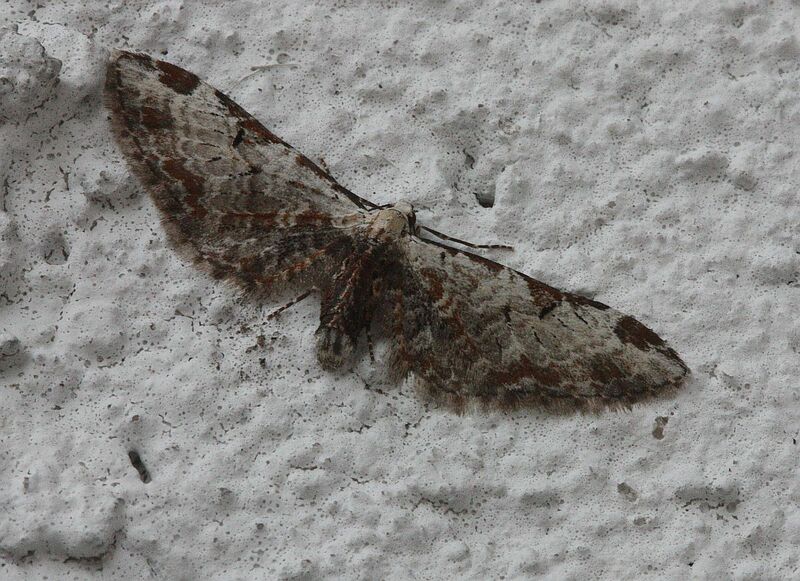 It took a while to get some decent photos (always difficult of things that are around 2mm long). I sent the specimen to Diane Young in Texas who identified it as a male Lachesilla pacifica. Jeremy Tatum sends three photographs taken today. He writes: I am gradually trying to learn to identify our pugs. 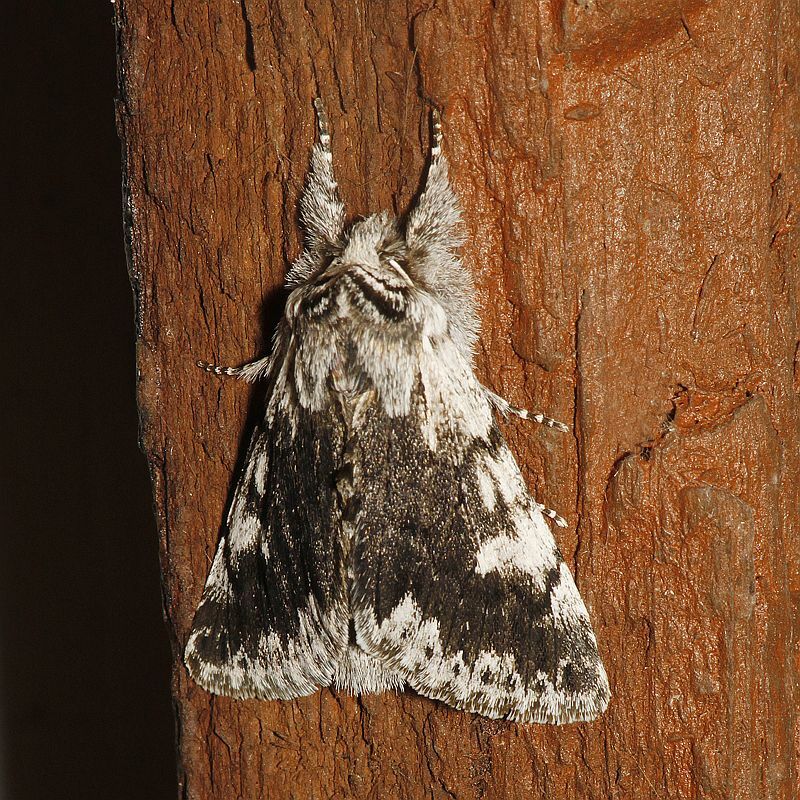 Eupithecia ravocostaliata is one of the larger ones, with distinctive markings, and relatively easy to identify – although even it has a look-alike (E.. nevadata). 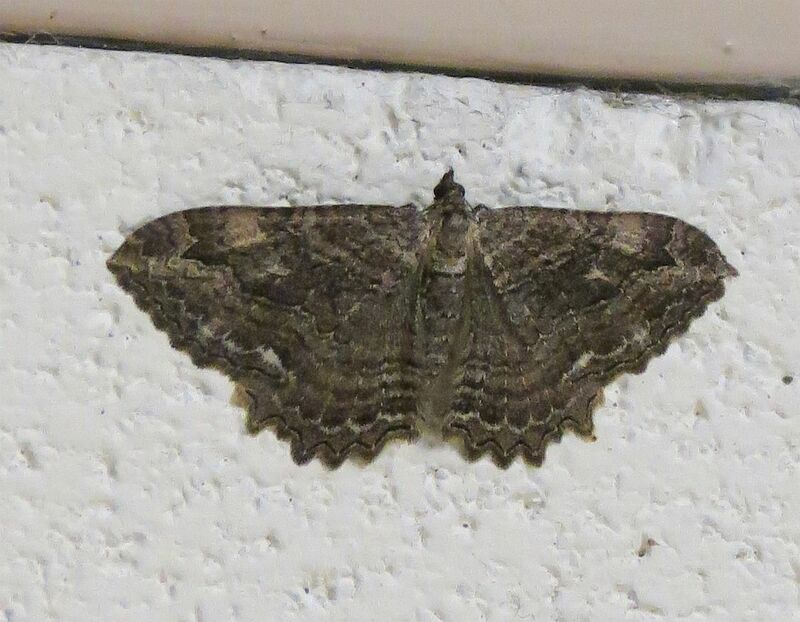 This one was on the wall of my Saanich apartment this morning. 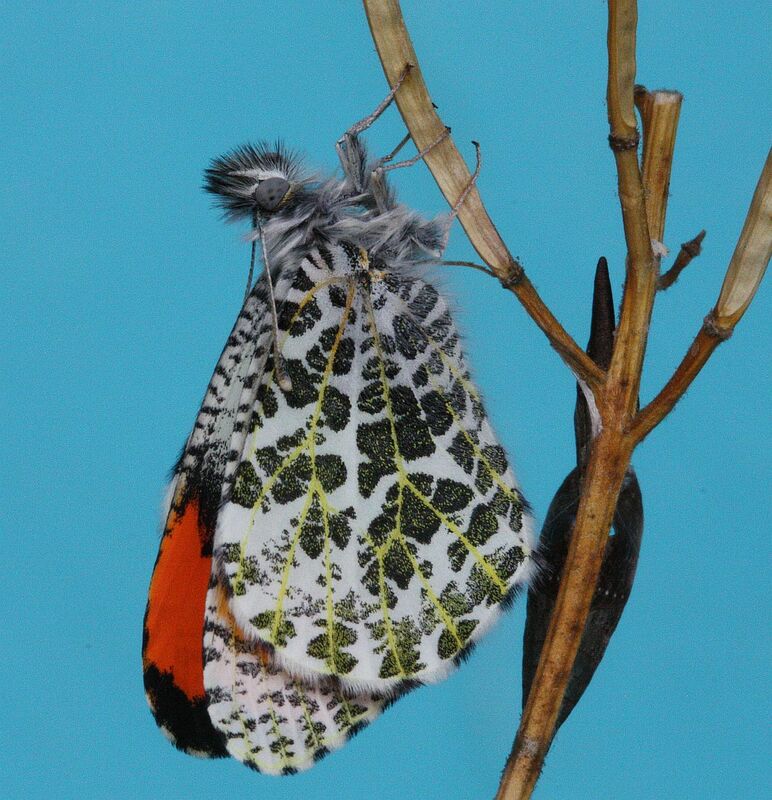 In yesterday’s posting, I showed the pupa of a Sara Orangetip with the colour of the wings of the imago showing through. Sure enough, the butterfly – a male – emerged today. After photographing it, I took it out to Munn Road, where the caterpillar came from last year. 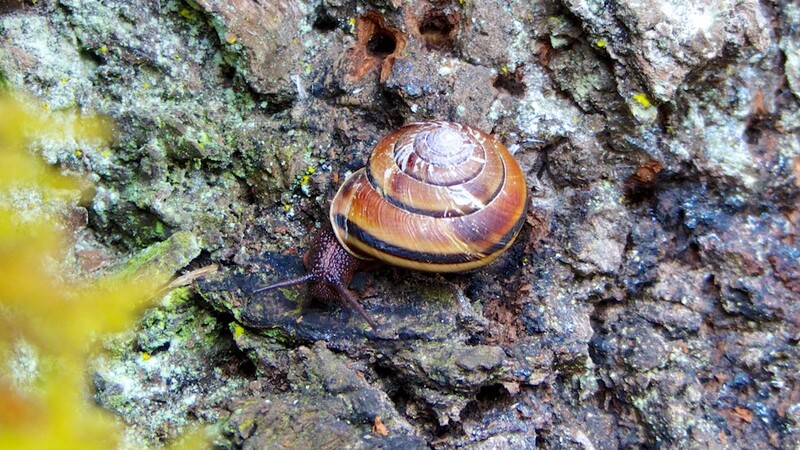 Finally, a snail, Cepaea nemoralis, from McIntyre Reservoir. 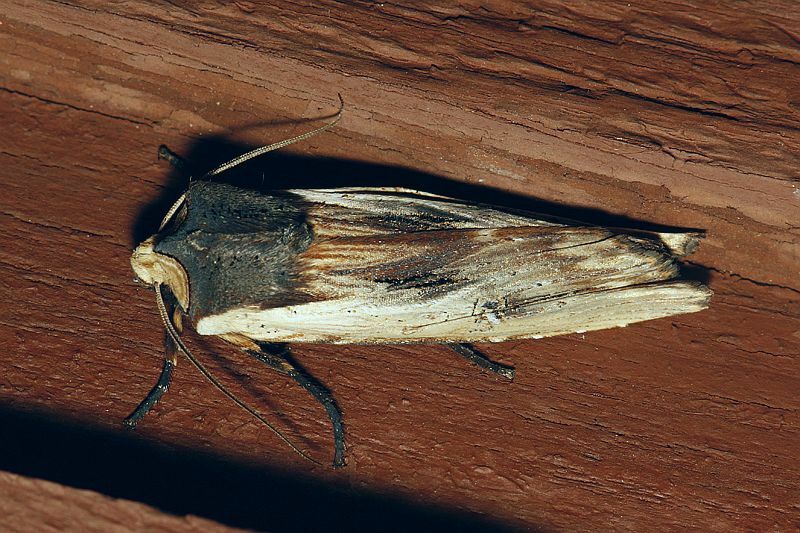 Bill Savale reports two Cabbage Whites from Poplar Avenue, Saanich, on March 27. 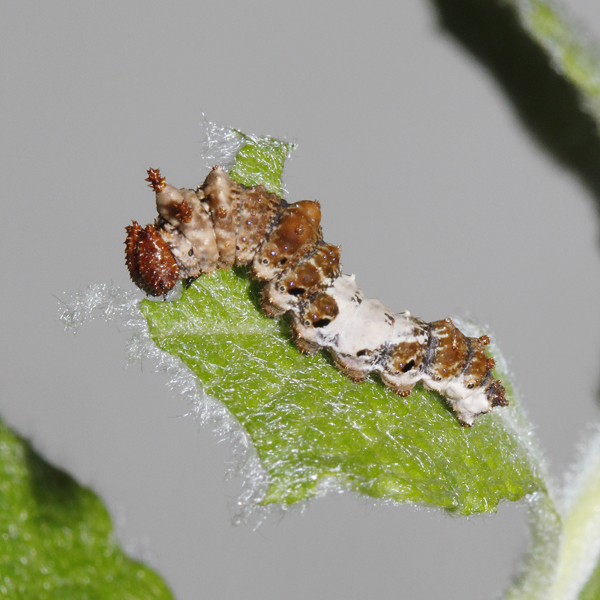 Jeremy Tatum writes: On March 14 I showed a photograph of an Orangetip chrysalis. 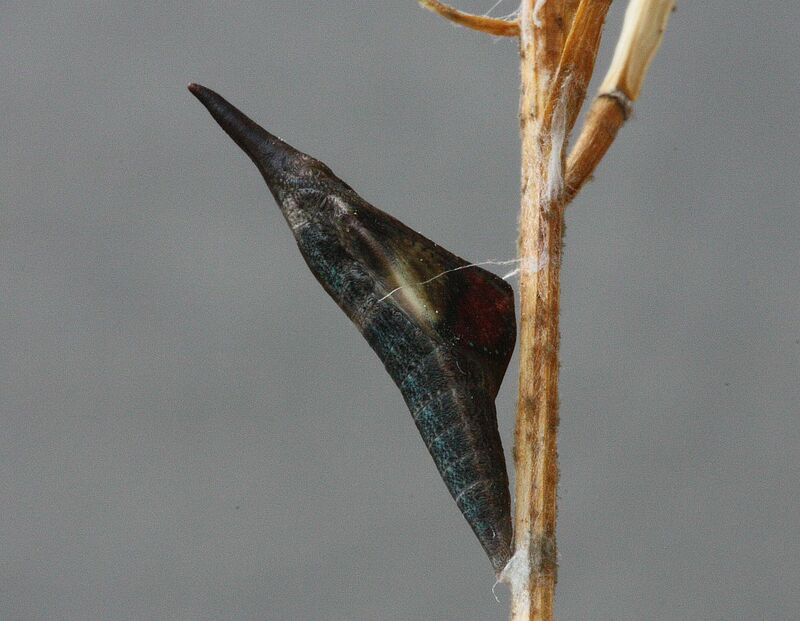 Here is the same chrysalis today – you can see the wing colour of the butterfly that will shortly emerge. Barb McGrenere writes: Mike and I took a walk up the road to Observatory Hill this afternoon (March 26) and saw eight Sara Orangetips on the way up and near the summit; and one California Tortoiseshell basking on the asphalt beside one of the telescope buildings and then basking on the roof over the entrance to that building. Gerry Ansell writes: On a walk up Christmas Hill late this afternoon (Friday March 27), Wendy and I saw our first Milbert’s Tortoiseshell of the year. We also saw at least four Sara Orangetips and one Cabbage White. Libby Avis sends a photo of an almost full-grown Lorquin’s Admiral caterpillar from her greenhouse in Alberni. This is astonishingly early for a caterpillar in this stage; at this time of year they would normally be found in their overwintering stage, which is a tiny first-instar caterpillar. Presumably the combination of greenhouse plus mild winter did the trick. It was feeding on Scouler’s Willow, one of the usual foodplants. Piles of Triphosa, Orthosia (both hibisci and praeses) and numerous Peridroma saucia. Several Eupithecia including one gilvipennata which is not that common here.